It is meant to assist in insulating both hot and cold drinks in disposable or reusable cups and keep them at the optimum temperature while you sip. They also protect your hand from the blazing temperature some folks like their coffee to be. Many are disposable, often with the logo of the coffee shop (ahem… looking at you Starbucks) emblazoned on them. However, despite the overwhelmingly dominant to go culture, there are many reusable coffee sleeves that you can choose to suit your personality or style that work perfectly with any size cup from your beloved cafe. No matter your interest or favorite color, there's a coffee sleeve that matches. 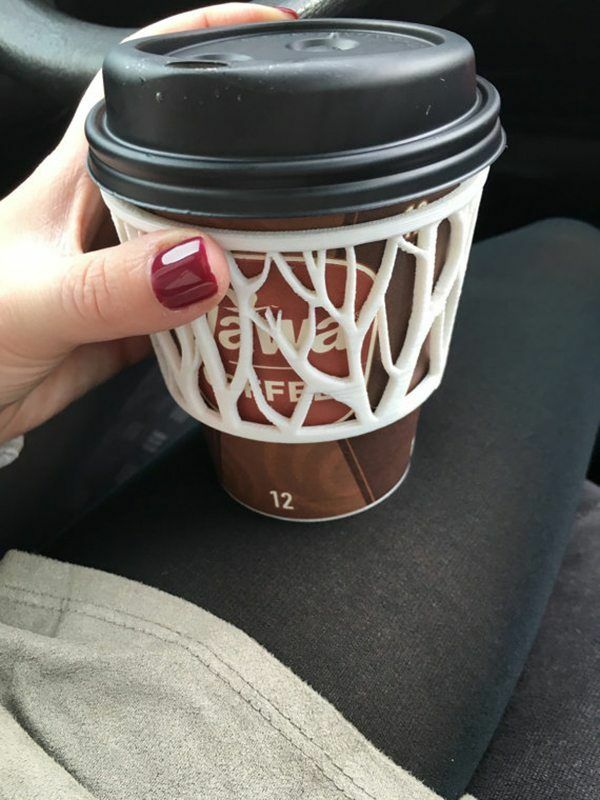 Even the serious fashionistas out there can rock a Jimmy Choo branded leather faux-alligator skin coffee sleeve if so desired (if they go back in stock). Whatever your passion, or whether you yourself sell drinks that go in take away cups, you can have a customized (maybe even with your name on it to make things easy on the barista) coffee sleeve. They are available from many online retailers, but for the custom market, etsy is the best for unique, clever, and useful handcrafted sleeves. We've sorted through the barrage of online selections from a wide selection of sellers to present this list of the most interesting options. There's a multitude of materials, colors, and designs here, so see which one catches your fancy. Inspired by specific teams and locales, these coozies can be custom made for your sports team and state of choice. 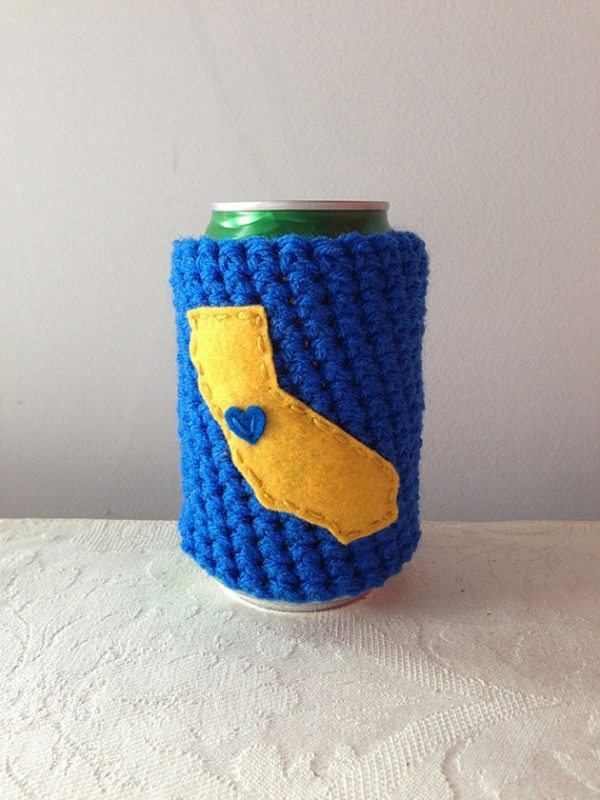 Crocheted from yarn with a felt cutout sewn on, these coozies will fit a host of cups, bottles, and cans. She even makes a larger coozie for a standard french press. Whether you take your coffee to go or make it at home, you can share your state pride and team colors all in one. 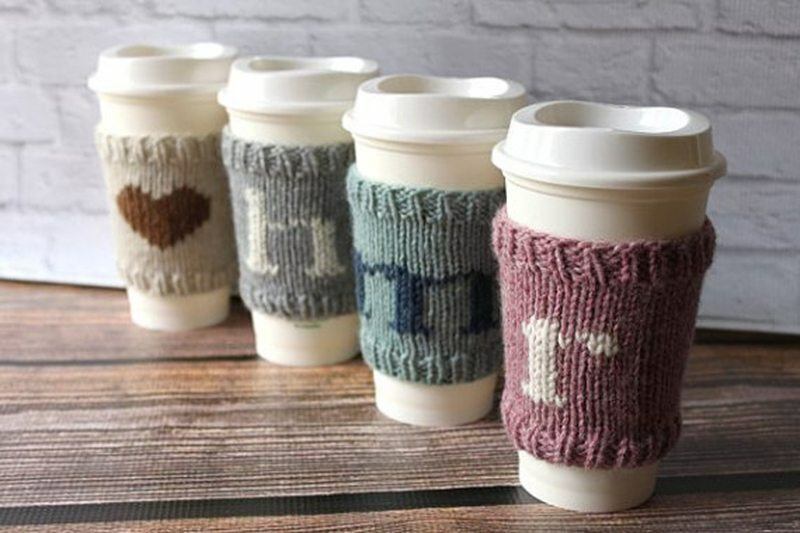 Have your coffee spell out whatever your heart desires with these reusable knitted coffee sleeves. Each one is made to order with your specific initial of choice and in the color combination you choose as well. They are made from wool and acrylic which makes them very machine washable. Order a heart for your loved one or several initials for a set. This store also offers lovely cabled designs if you are more fond of pattern over text. 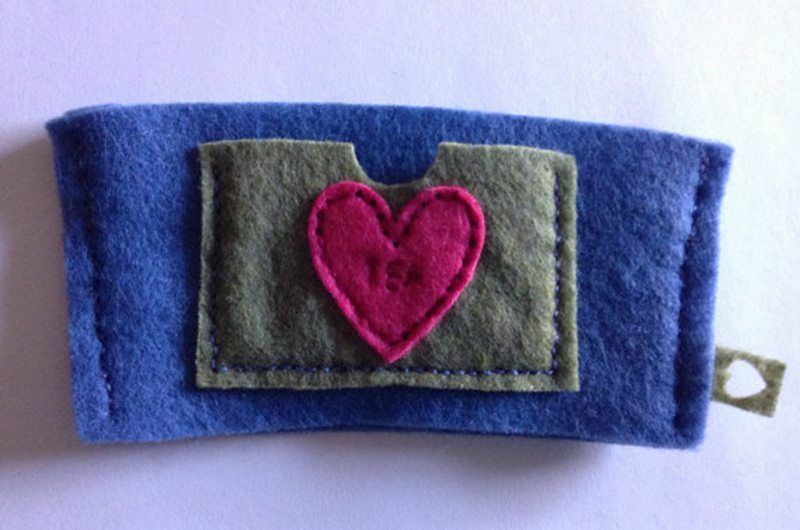 If you want a heartfelt state love coffee sleeve, check out this felted and hand stitched one. 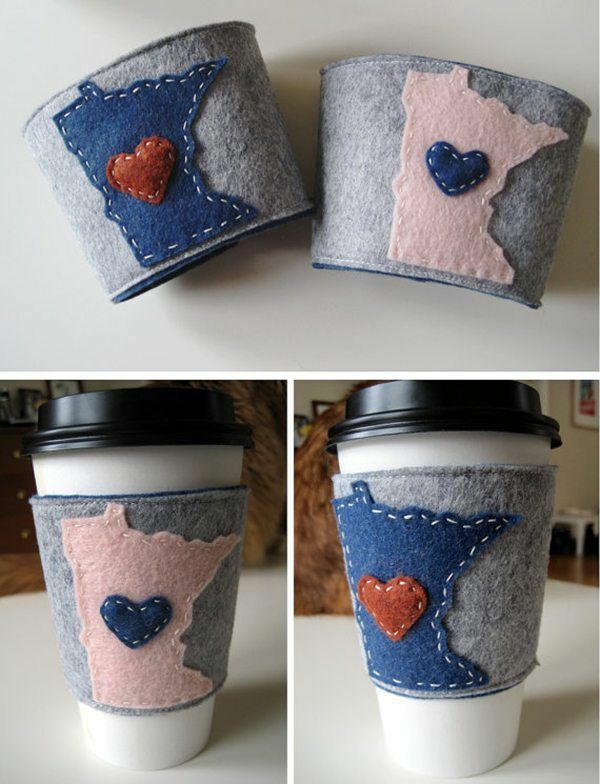 The example is an adorable ode to the maker's home state of Minnesota, but she can create a sleeve with any state you like. The color is also up to you, but our favorite is the gray felt with a bright pop of color. 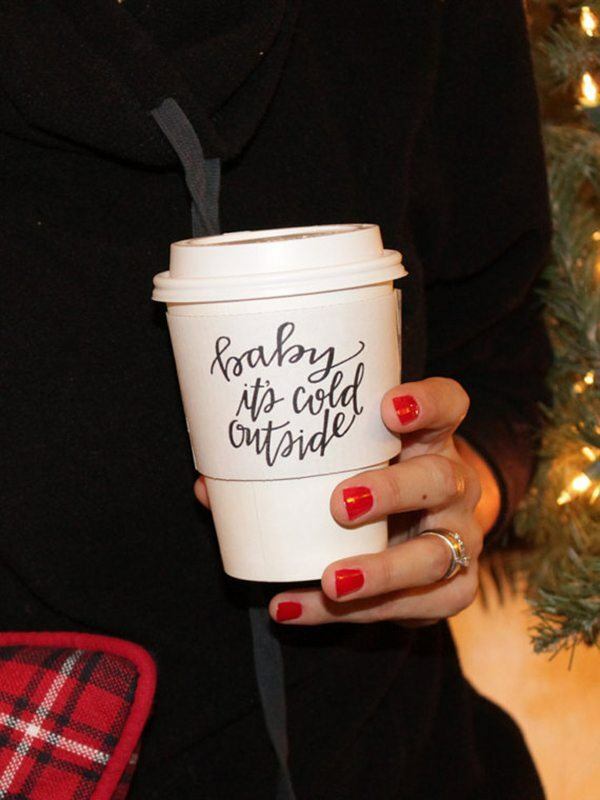 When you've just got to share your winter holiday spirit, show it on your coffee cup. These sleeves are custom made to your specifications and they also will make as few or as many of these paper coffee sleeves you need. This is an excellent way to spruce up a festive party where you will be serving hot chocolate or coffee. Put a bird on it! 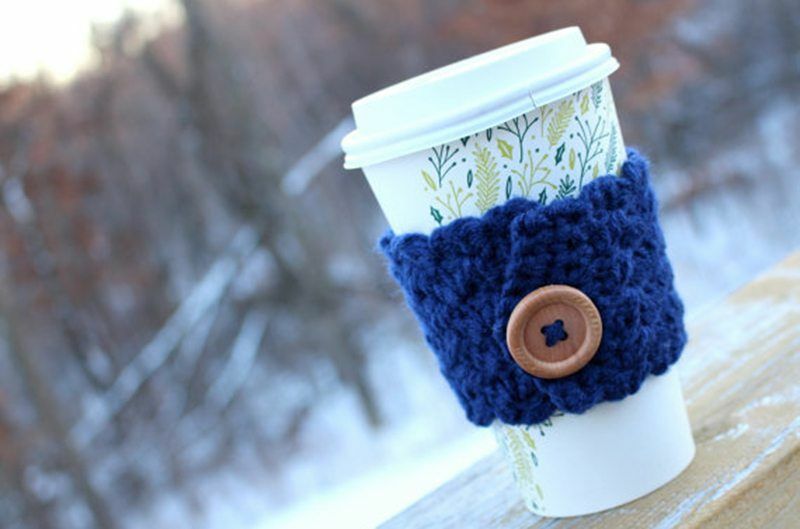 Whimsical and useful, these felted wool coffee sleeves are just what you were looking for to add some style to your coffee drinking habit. This seller also has a variety of sports teams, french, and flower themed designs to choose from. The durable felt will hold in heat or cold, while keeping your hand comfortable. Understated, yet polished is the vibe of this sleeve. You can select the letter or go with the unblemished hand burnished leather sleeve for your morning cup. 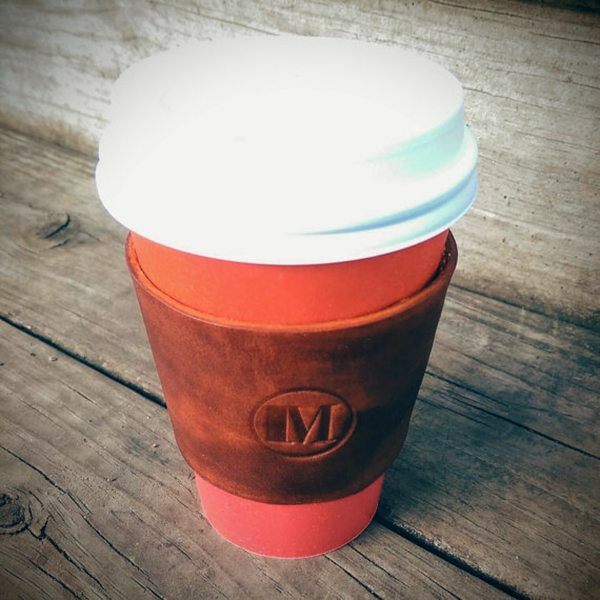 Leather gives more of a grip on your cup in addition to keeping heat or cool in your cup. With this seller you can have your wallet and coffee sleeve match if you like. This one is a bit occasion specific, but if you plan on having coffee as a favor at your wedding, why not make it memorable with a customized coffee sleeve? 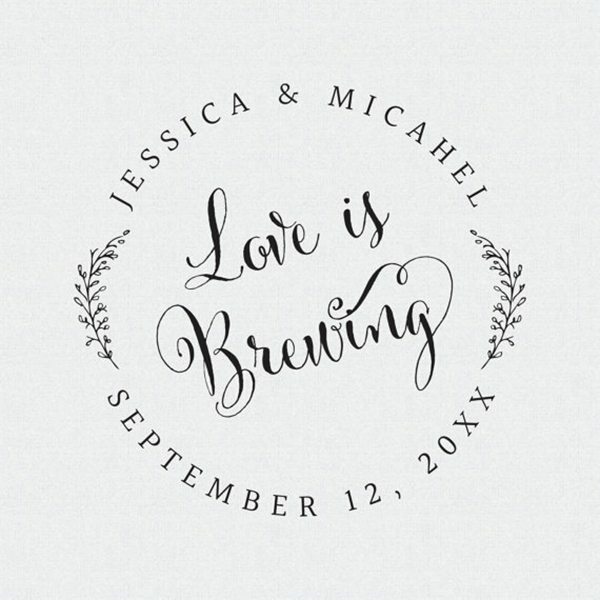 Embellished with the words “love is brewing” along with your names and wedding date, this coffee sleeve stamp will be sure to make an impression on your guests. Bound to melt your heart, this understated yet sophisticated cozy is decorated with a button in the shape of a heart. Elongated to accommodate those venti cups, the seller makes these by hand out of a wool and acrylic blend for easy care. Enjoy with your favorite heartwarming beverage. For all those iced coffee drinkers out there, especially the larger cold cups, this cozy's for you. 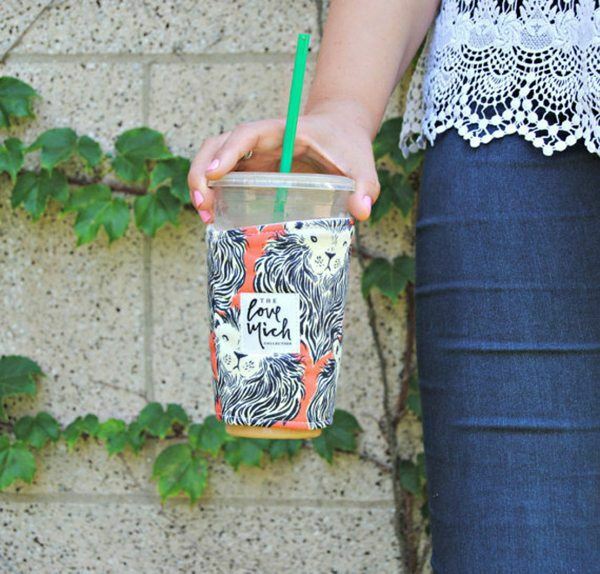 There are numerous fun printed fabrics that you can choose from to make it yours and you can pick a size that fits very snugly around any sized cold cup from your local coffee shop to Starbucks. Choose your custom size so that you can be in style while you enjoy your cold drink. Ever find yourself in need of a pocket for sugar or tea when you have your morning cup? 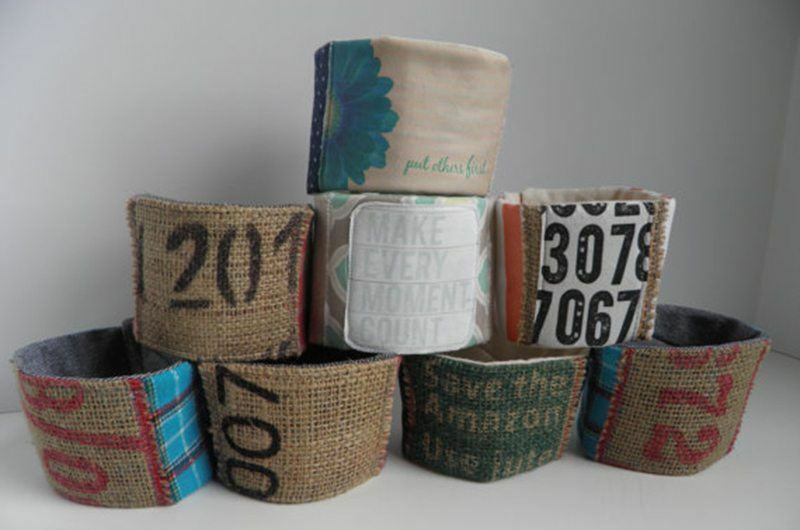 You can neatly store sugar packets, cash, a gift card, or tea bags in the nifty pocketed coffee sleeve. Made from felt, with some hand stitching, this is sure to be a good find for a friend or yourself. The ultimate recycled coffee sleeve, this one is made from assorted found fabrics and materials such as burlap, leather, and cotton. Each one is unique and the seller does encourage you to come up with your own combination of fabrics and colors for a custom order. They are designed to fit snugly on most sized cups or mugs as they fasten with velcro and are completely washable and reusable. When pumpkin spice lattes are your go to, or if fall is simply your favorite season, there's no reason you can't share it with the world. 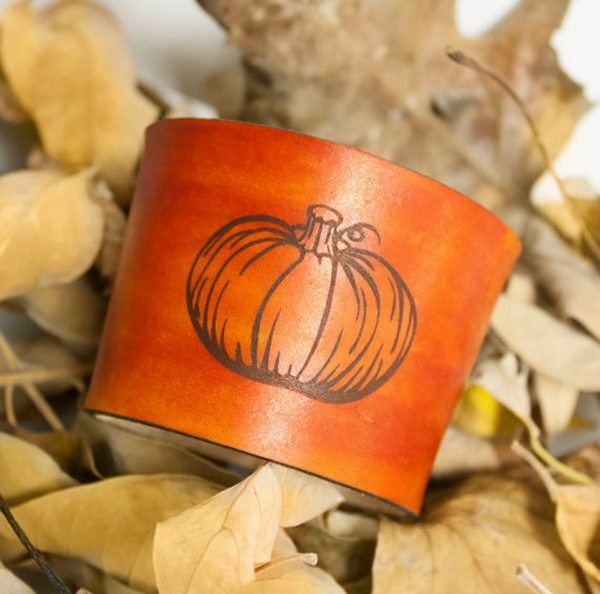 A fat pumpkin graces the side of this coffee sleeve, and the leather is tinted orange too with a vintage varnish! You can choose from a host of colors, or you can stick with the original. Embroidered on the side of this sleeve is a bright blue VW bug. 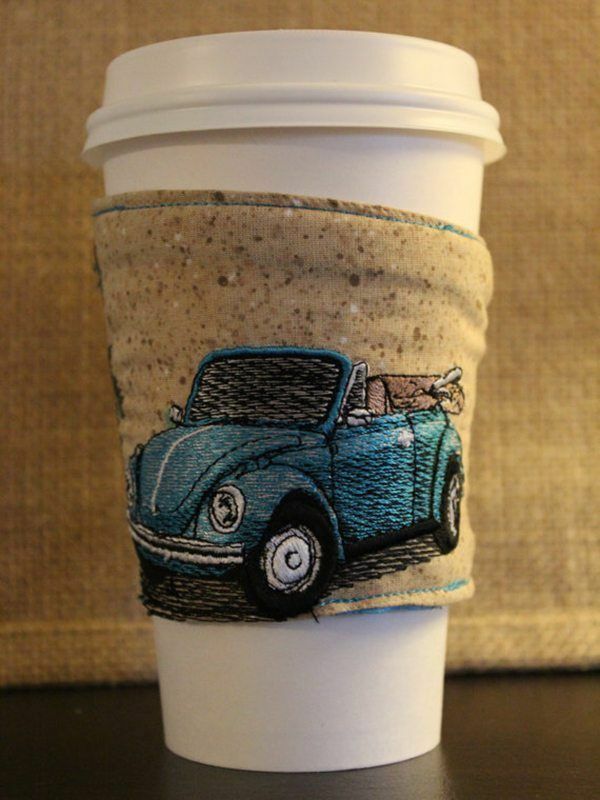 Whether this is your dream car, or the one in your garage, show the love on you coffee sleeve. 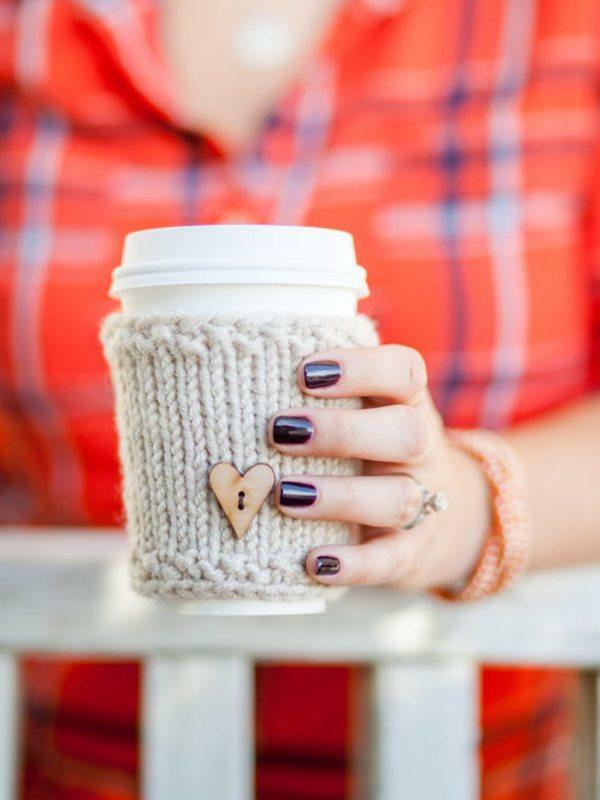 This seller specializes in custom embroidery designs on their fabric coffee sleeves. 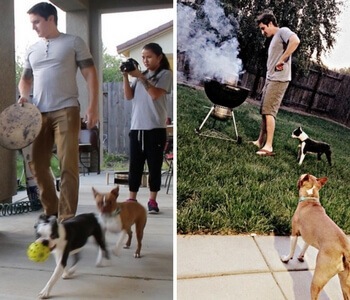 You can get everything from a portrait of your dog to animated movie characters. When you like to sit and have your coffee in a ceramic or glass mug, sometimes it gets too cold too fast. This coffee sleeve is meant to fit around most home mugs as well as travel mugs. These are hand-knitted and feature natural carved buttons made out of coconut shell or dried beans. 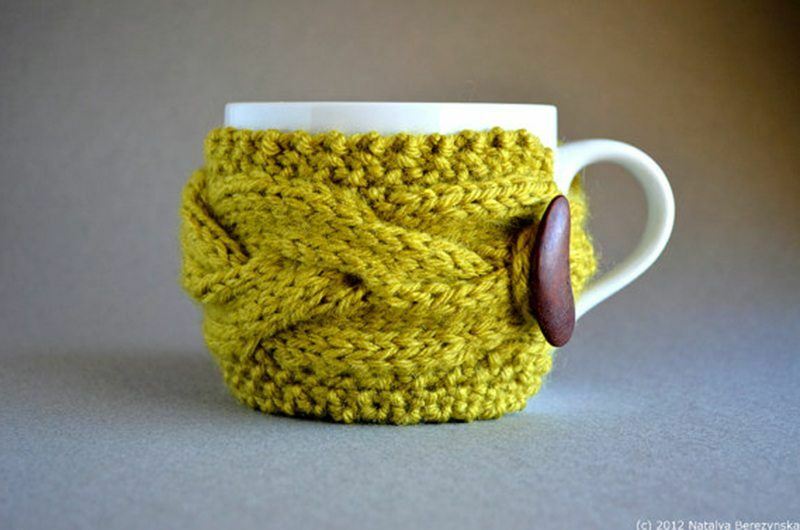 Because of the clasp, it can on mugs with a handle or without. Portable coffee is a plus, and mason jars have been the standard for a bring-your-own cup at coffee shops for a while now. If you like your coffee or tea hot, the glass can be hard to handle. 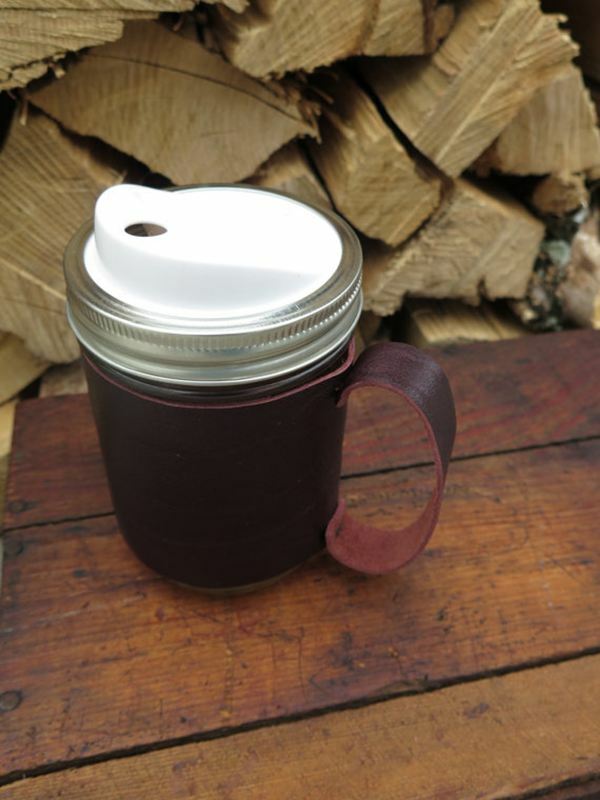 This seller has created a handled sleeve that you can attach to your bag and hold your coffee without burning your hands. 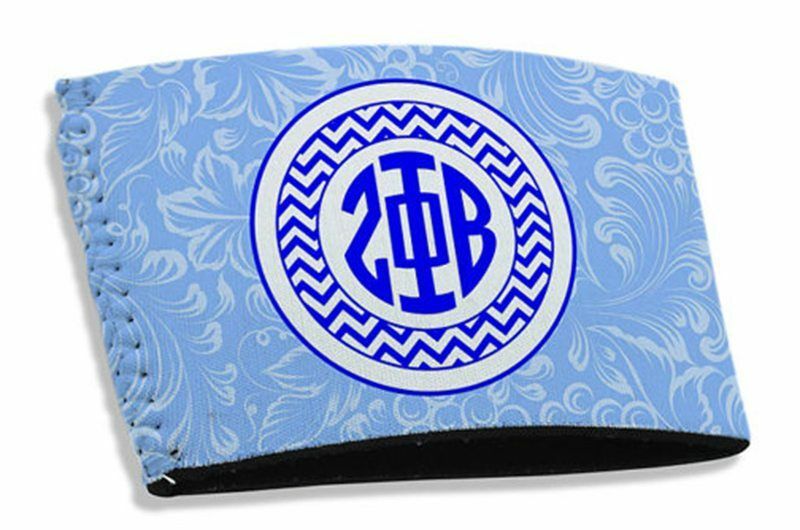 If you are looking for gear that honors your sorority or fraternity and you love coffee, show off your greek life pride with these coffee cozies. Made from flexible and durable material that is both waterproof and easy to wash, these are sure to be a hit wherever you take them. They also seem to be the perfect size to fit coffee to beer if necessary. And to round out the list, this coffee sleeve is certainly the most unusual. Made from 3D printed plastic that looks like trees, you can select your favorite color from the list. The design is meant to help keep your hands away from the cup, while showing off the beauty of the carving-like pattern.